I don’t know what to think about No Man’s Sky. From a mechanical perspective, there’s not enough of a game to make a judgment. The story fares even worse, since what exists seems only to provide the flimsiest of contexts about what players are supposed to even be doing. But technically, what exists on the disk is astounding. The very act of thinking about it, of imagining what secrets that vastness holds, is enough to give me a feeling of wonder and joy that I don’t quite understand. Maybe nobody else will either, because I don’t know whether No Man’s Sky knows what type of game it is trying to be. But strangely enough, I’m not really sure if it matters. First, let’s get the basics out of the way. 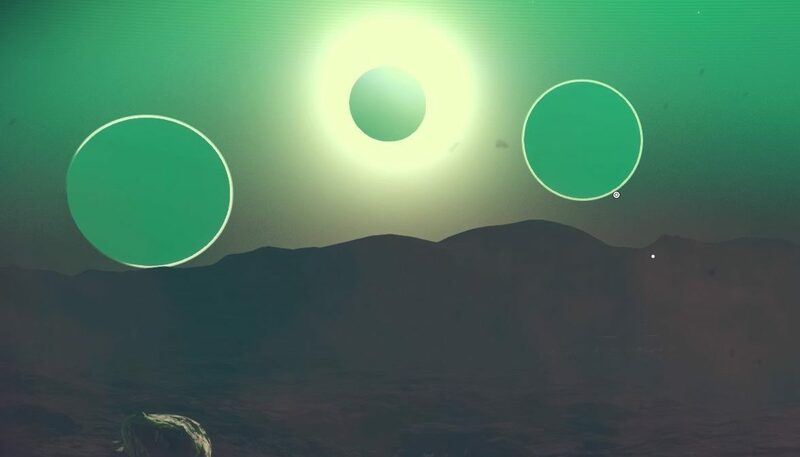 In No Man’s Sky you are stranded upon a distant star system in a largely unexplored galaxy with a broken ship and vague direction of “head to the center of the galaxy.” Throughout the game you’ll collect resources, enhance your ship, suit, and blaster/tricorder/scanning device. You’ll use all of this sweet tech to explore the star systems and planets that you come across. Oh, and there’s quintillions of procedurally generated planets to explore. But even though this is the background, that still doesn’t give you any idea whatsoever as to what kind of game No Man’s Sky actually is. 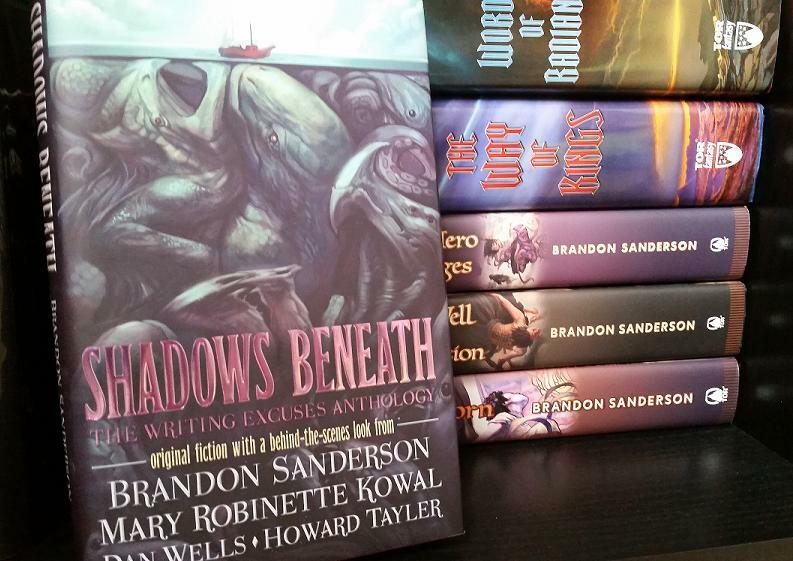 Since the story is vaguer than a post-modern lit class, that means we need to look to the game mechanics in search of answers. Just because NMS is generated, that doesn’t mean it isn’t gorgeous. Let’s assume for a moment that No Man’s Sky is supposed to be a first person shooter. Mechanically, the game gives players a blaster and you can upgrade it in a variety of ways. I can gain extra functions and firing modes, add grenades and trick out your exosuit to do a passable job at being a Mjolnir Mark 2. Hypothetically you can build your character into a space marine. But then the actual gameplay happens and all you are left to shoot at with your space faring superhero are aliens that don’t have firearms, or flying sentinels that only come in a couple of flavors. Hey buddy. This little brute was friendly, and I could feed it. Not even gonna lie – I grinned like an idiot. Space combat is an option too, with occasional attacks by pirates and who want the precious loots stored in your limited cargo holds. Planetside it’s even worse, as it is easy to jetpack or run away from hostiles, and if you find yourself in a situation that requires a Doom-esque shootout – you done messed up. On the other hand, if No Man’s Sky is supposed to be a survival game, it’s not doing itself any favors either. It has many of the hallmarks of these types of games. It has Resident Evil’s limited inventory, and a need to collect resources and construct materials to advance in a way that feels like Terraria. There’s also the possibility that maybe you can land on a planet, run out of whatever and die. But if that’s the case, the materials are too common and the penalty for being killed so minimal as to be irrelevant. Materials are needed for upgrades, and through the use of plans you can build all kinds of stuff. All you need is the right loot and have free space in the old inventory. While the construction mechanics are not as robust as those in Minecraft, they exists to create a situation where your character is constantly improving. Could the game get by perfectly well without any of that? Sure it could, but when an entire galaxy is changing around you, your character being some kind of constant is important. But here’s the thing – it would be all too easy to fault No Man’s Sky for these issues. For those folks that wanted a game where they fight aliens, dogfight in space and pillage worlds, that game is on the disk. 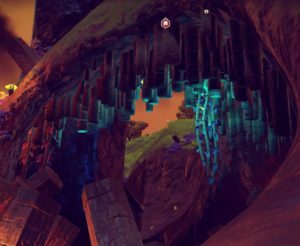 Others that are hoping that No Man’s Sky would be some sort of cosmic survival game – that’s in there too. The thing is that those games just aren’t very good. It seemingly tries so very hard to be everything to everyone that it doesn’t carve itself an identity to be exactly what someone wants. There are also people that would decide that since it wasn’t what they want, or what they were expecting, then it’s a failure. I’m not going to tell them that they are wrong. 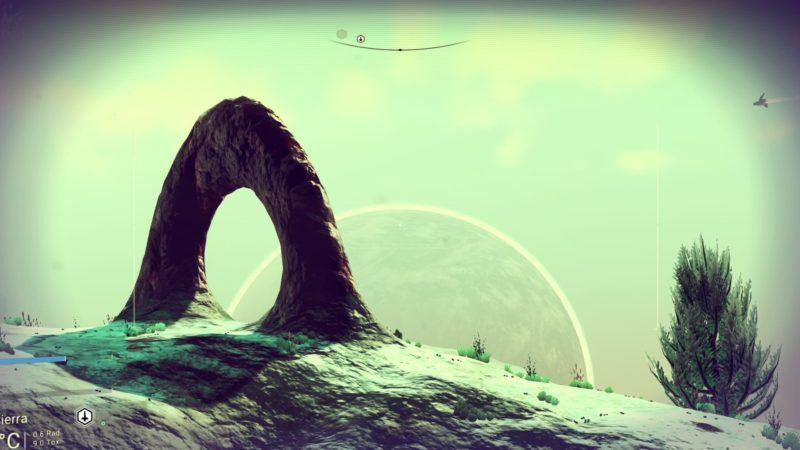 No Man’s Sky is a lot of things, but it’s not the game that people had imagined. When offered an entire galaxy, people assumed that it would have the scope to match. But No Man’s Sky doesn’t have that mechanical scope. Instead it is tightly focused on a very specific thing, and what it does well is not going to be for everyone. I don’t often think about the number quintillion. It’s one of those things that doesn’t make any sense even when you do decide to devote some brain power to it. It’s considerably bigger than a million, more than a billion (with a B) too. Improbably it’s even larger than a quadrillion, which is 1000 times larger than a regular old, and somewhat shabby, trillion. 18E a number that simply refuses to be characterized in any meaningful way, until now. 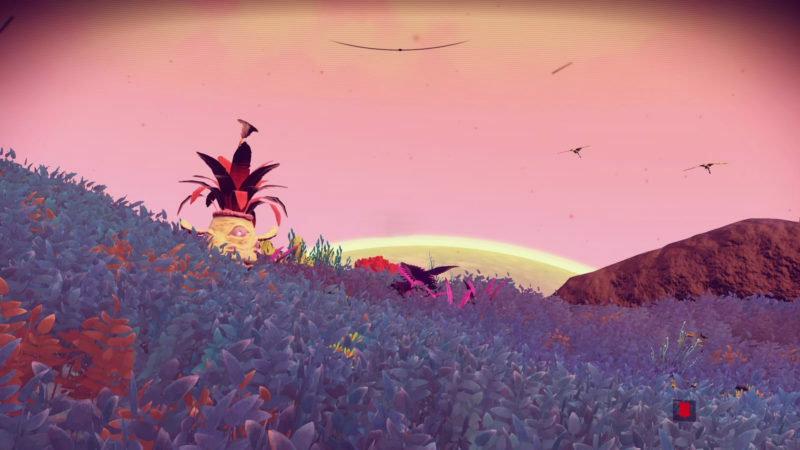 That was the promise of Hello Games’ No Man’s Sky – 18 quintillion different planets to explore. As I looked out into the stars, and realized that each of them had a planetary system, the true scale of No Man’s Sky filled me with a sublime sense of dread. I realized that there could be no true end to this game, and honestly anything that I would do in the game would amount to nothing in the (very) grand scheme of things. But I don’t think that for all of the ambition shown, the intent was ever to offer a hero’s journey. There’s no boss fight to be had, and our mission is not to save the galaxy that we wander. That was when I realized that the mechanics of No Man’s Sky weren’t really the point in and of themselves, which is really, really weird. If a game is the sum of its mechanics, then having a “game” where the mechanics are at best peripheral means that it’s (pardon the pun) a whole new world. Instead the systems in the game exist as a means for the player to explore the galaxy that Hello Games had built. The combat is there, not as a way for the player to show their martial prowess, but to allow the galaxy a sense of danger. The limited inventory means that players who try pick up every single thing will also find frustration and annoyance. Instead I feel like the developers are trying to get players to pick up the items that they actually need at the moment. There’s an entire galaxy out there filled to bursting with materials, which means that your pockets don’t need to be. I found that when I changed my mindset from “I might need this” to “I can find more of this wherever” the issues I was having with inventory management evaporated. This beasty was a little shy, and I had to chase him all over the place before I could get a good shot of him. That in turn changed how I looked at planets. No longer were they places I needed to loot, but simply places. Every part of a gamer’s brain tells them that they need stuff, and everything is a resource to exploit. But they’re not seeing the planets for the digital trees. Imagine if there was unlimited inventory, and there was no bottom to player’s Bags of Holding. They would be incentivized to loot every square inch of a planet and strip it of everything before finally moving on; leaving a withered husk in their wake. Instead the mechanics make that functionally impossible, and forces players to take a different tack in their approach. Which leads to me to what I think No Man’s Sky really is – it’s the biggest open world game ever made. It’s a massive sandbox that dares people to play it and find their own fun. 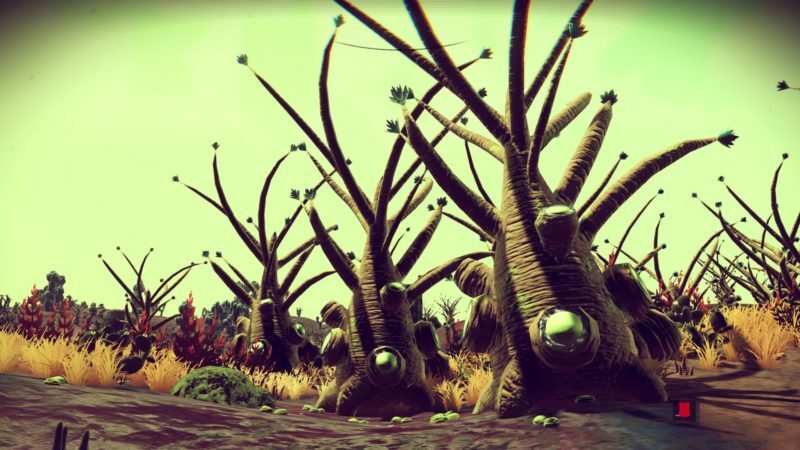 But there are people for whom No Man’s Sky will scratch a very particular itch – explorers. I count myself among them. They’re the ones who played Mass Effect 2 and enjoyed zipping around planets, harvesting minerals and reading the little bios for each. Or when it came to Skyrim, no cave or tomb went unexplored and all of the the books were read. In the case of No Man’s Sky the sheer scale of the game is overwhelming and has the humbling effect of making a player feel very small indeed. The universe sits there brooding and colorful, asking for players to come and have a look, and take a stroll. It also means that when you see an animal, or a plant, or discover a new planet, the odds are that you are the only person who will ever see it. Every step you take in No Man’s Sky is unique and each time you load up the game you are going to be the first human being to witness something. In between these wonderful moments there is a lot of downtime. Space, even in a digital form, is pretty large. It takes minutes of travel to get from place to place within a system and on a planet your speed is reduced to a crawl. Then on arrival if the sights don’t excite you, there’s nothing else that is going to either. If finding something like this and taking a picture excites you, then you will probably enjoy NMS. For me, what I find fascinating in No Man’s Sky is a feature that doesn’t actually exist in the game – the camera. 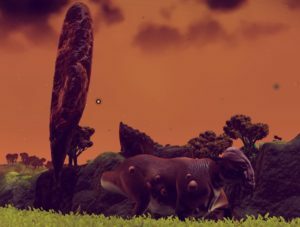 Yeah, there’s no camera function (Hello Games, please add an SLR), and instead I make judicious function of the PS4’s Screen Capture function. 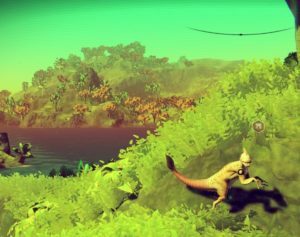 It turns No Man’s Sky into a cosmic safari. It becomes a game about exploration and documenting what you find out there. It’s too easy to fly from planet to planet and collect the minerals to go to the next place. But by stopping to take time to snap pictures of trees and landscapes and alien skies, it somehow makes the places feel real in a way that few games can match. The argument of course is that I’m finding a way to make a bad game fun, and I could have just saved myself time by adding rum to the mix. Really, in the end the feeling that I am stuck with is that No Man’s Sky might be the most boring game I’ve played. But it is also one of the most amazing things I’ve seen in a long time. What’s weird is that I can feel both of those things at the same time and they can both be true. Yet, even as I write this I find myself wishing I was out there. NitWitty Score : 2nd Star to the right, and straight on ‘til morning.